It’s that time of year again: Oscars season! The 83rd Academy Awards will take place Sunday night, and the biggest stars in the industry will show up in their finest as Hollywood spends three hours reveling in its own awesomeness. This year, the tightest race by far is the one for Best Picture. The Social Network was the early favorite, but The King’s Speech has been getting a lot of attention over the last few months. Frankly, both are excellent films and are each worthy of the evening’s top prize. Below are my predictions for the winners in the major categories. The film/person that, in my opinion, WILL win will be in bold and the film/person that SHOULD win will be italicized. After checking out my predictions, hit the comments and tell us if you agree or disagree. This year, I’m also hosting an Oscars viewing party at my home, and will do a follow-up post after the show with a few pics of the decorations, as well as a report card on how my guesses worked out. And the winner of the inside redbox blu-ray player and Oscar party pack is I know it was not me ? Fickle academy… whose typical member is eligible for social security like Ernest Borgnine who is 94 years-old. Step 3: Look at the top of the page for Check out our Redbox offer and get 3 one-night DVD rentals, including Oscar-nominated movies, from Redbox (a $3 value) for only $1. Boy, the Oscar winners were sooooooo predictable! What wasn’t as predictable was how BORING Anne Hathaway and especially James Franco were as host–especially Franco. BORING! The Oscars do need hosts with better comedic timing. Even Justin Timberlake, having starred in Social Network/best movie nominee, would have been a way better choice than either Franco or Hathaway……boring, boring, boring,…..And Melissa Leo’s acceptance speech set the wrong tone for the Oscar show,…it just went downhill quickly… One of the only highlights was like 90 year old Kirk Douglas’ attempt at humor to fit in with the ‘living’. I agree with most choices, except I didn’t think “The Social Network” deserved even what it ended up winning. 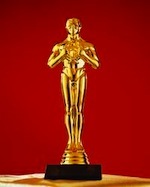 I can’t present objective, analytical arguments, I just didn’t feel it had much value, at least not worthy of Oscars. I think its attraction was motivated a little too much by its content rather than pure cinematic merit. My only firm pick (which would have caused disappointment had it not won) was C. Bale for male supporting role. I also sympathized quite a bit with Winter’s Bone, especially after seeing how it was filmed, I wish it had won something. Cool website. Cheers for always posting such usefull stuff!